Leafs listening on Kessel, working on signing Bernier. 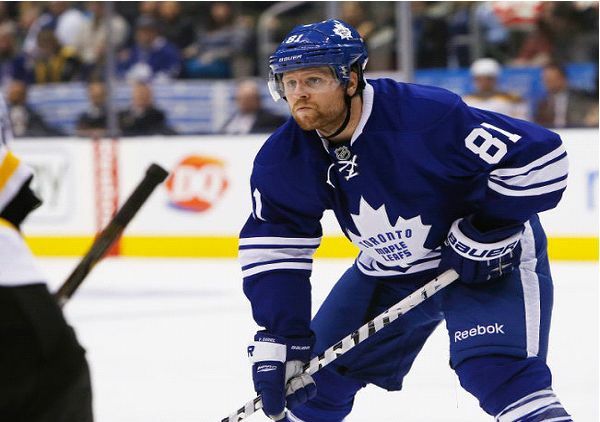 Prolific Toronto Maple Leafs right winger Phil Kessel had a rough 2014-15 season. It was the first of his six seasons with the Leafs where he failed to score 30 goals or more (sans the 2012-13 lockout season), and also the first season that he didn’t lead the team in goals. "He's had a great year, he's a battler…. he'd be a good pick up for the #Leafs" @DougMaclean on Matt Beleskey's impending free agency. Five teams contacted the Leafs after the trade deadline to further discuss their interest in captain Dion Phaneuf. Among the five were the Boston Bruins.